Recently, Beats Lyrics Leaders partnered with the NAMM FOUNDATION (We believe in Music) for upcoming NAMM 2016. BLL represented with 10 different mentors, 2 presentations, and built directly with sponsors, partners, and affiliates. We'll be announcing our new family members soon. Stay tuned. Thank you to everyone that helped make this years NAMM a huge success. 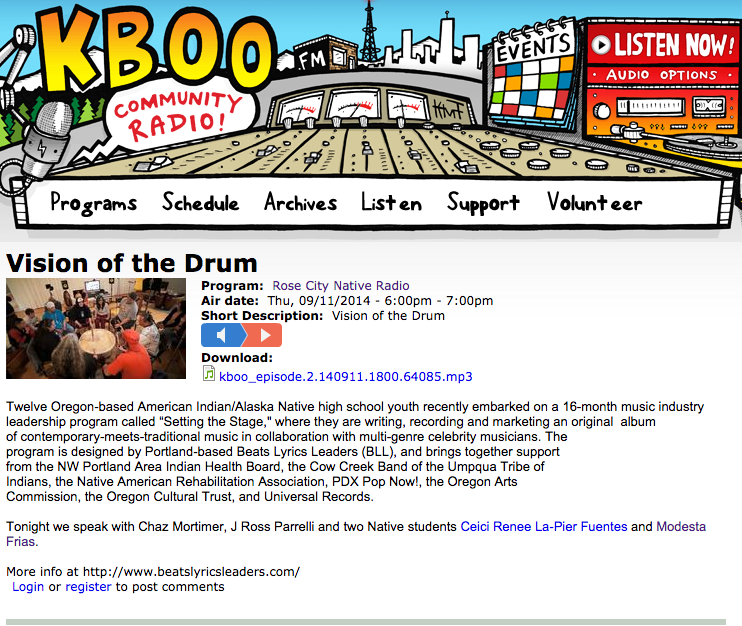 Beats Lyrics Leaders was repping on KBOO Community Radio for a solid hour with Rose City Native host Jackie Malstrom last night... previewing songs, talking bout the history of the program and where it's going. Amazing feature article at Oregon Arts Watch! What an amazing feature in Portland, Oregon's largest newspaper!!! Photojournalist Faith Cathcart has been following our story since she first saw us holding a workshop at Parkrose Middle School last Spring. 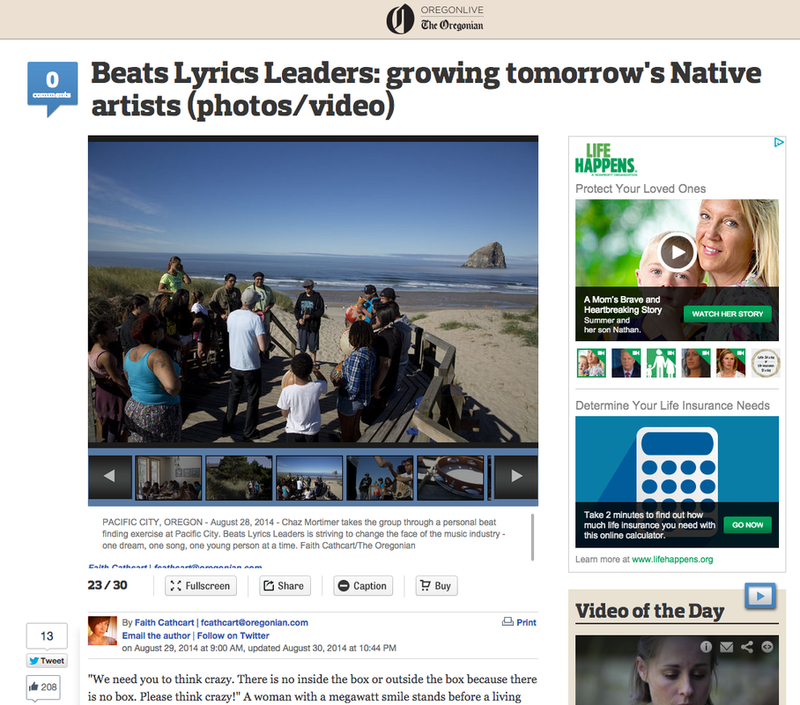 Check out the amazing article about our summer recording retreat in Pacific City, Oregon. BLL was featured on Portland's KGW TV Live at 7 news segment last night. Great feature and the youth represented so hard!! !From PowWows to HipHop Ciphers, RoundDance to beatmaking, Beats Lyrics Leaders is a youth-run program that inspires arts & music through culture & life skills.